Surrounded by beautiful San Francisco Bay, this community attracts those with an appreciation for stunning vistas, a love of the water and the outdoors. Tiburon also has a quaint downtown with boutiques and restaurants, and attracts visitors to its shores from far and wide. Tiburon is an incorporated town in Marin County, California. 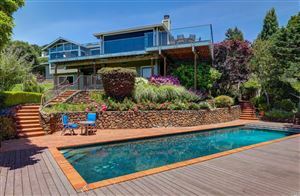 It is located on the Tiburon Peninsula, which reaches south into the San Francisco Bay. The smaller city of Belvedere (formerly a separate island) occupies the south-west part of the peninsula and is contiguous with Tiburon. Tiburon is bordered by Corte Madera to the north and Mill Valley to the west, but is otherwise mostly surrounded by the Bay. Besides Belvedere and Tiburon, much of the peninsula is unincorporated, including portions of the north side and the communities of Strawberry and Paradise Cay.The population of Tiburon was 8,962 at the 2010 census. Belvedere and Tiburon share a post office.The city's name derives from the Spanish word tiburón, which means "shark". The name was first given to the peninsula on which the city is situated, and probably inspired by the prevalence of locally native leopard sharks in the surrounding waters.